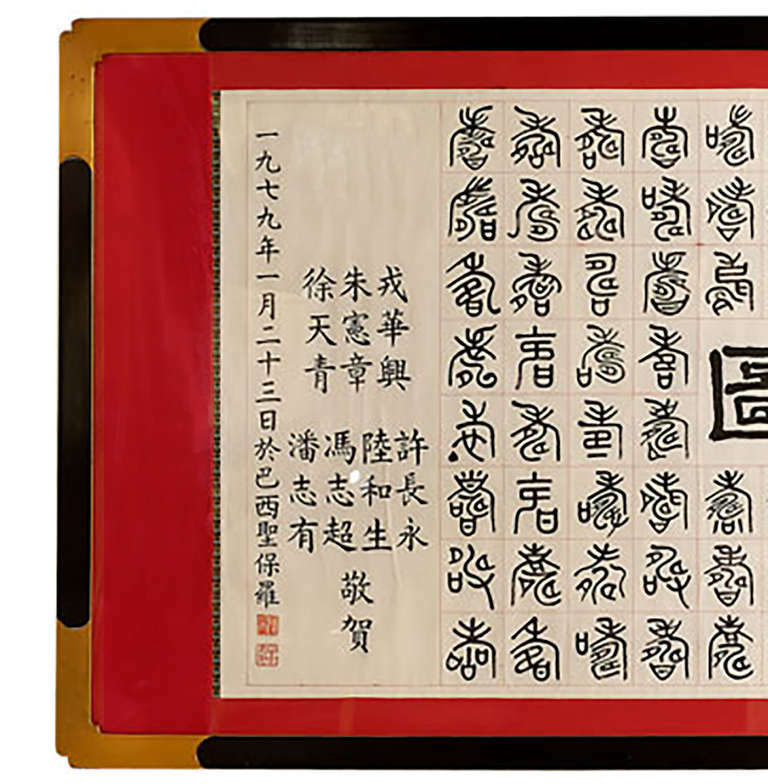 Graphically mesmerizing, this rice paper scroll is adorned with Chinese calligraphy lettering. 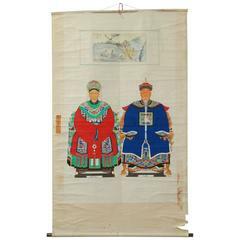 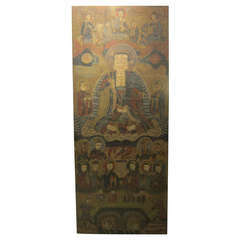 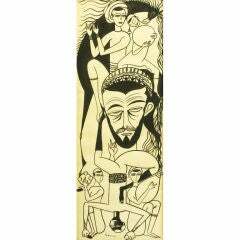 Matted in red silk, surrounded by an ebonized and gilt Asian-form frame, it is nearly six feet long. 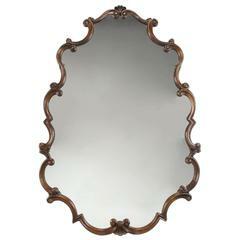 Large French Regency style fruitwood framed mirror. 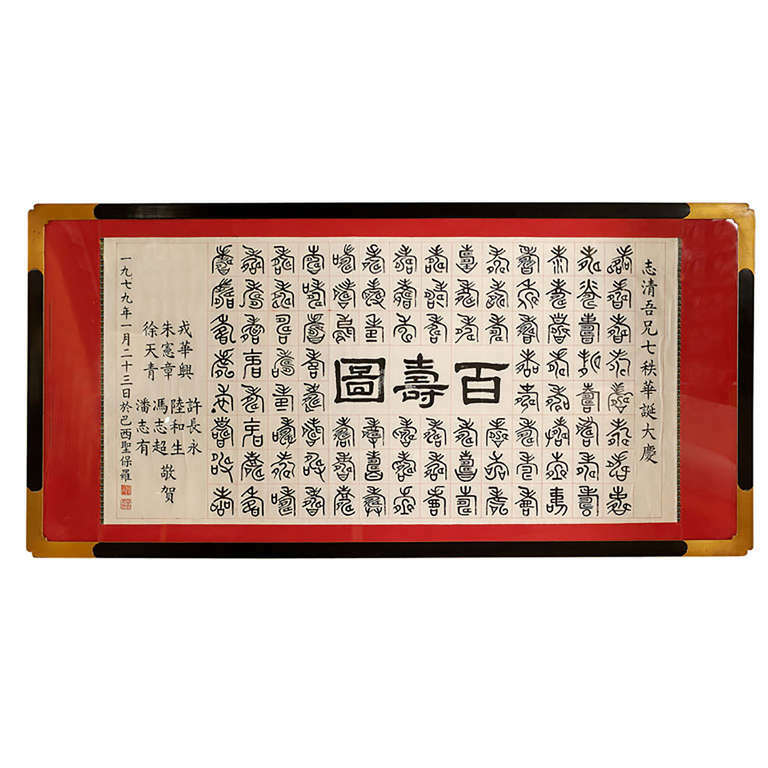 Excellent workmanship with a wood backing and expertly carved scrolled fruitwood frame. 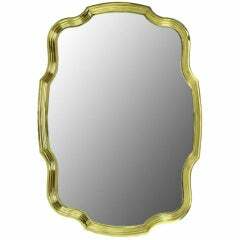 Measure: 53" H x 38" W.
Regency styling and solid stepped brass frame create a striking wall mirror. 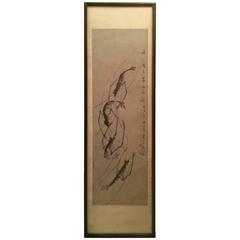 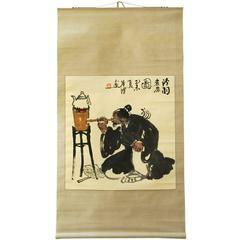 Charming 19th century Chinese scroll painting in ink of four shrimp with calligraphy column of characters down one side. 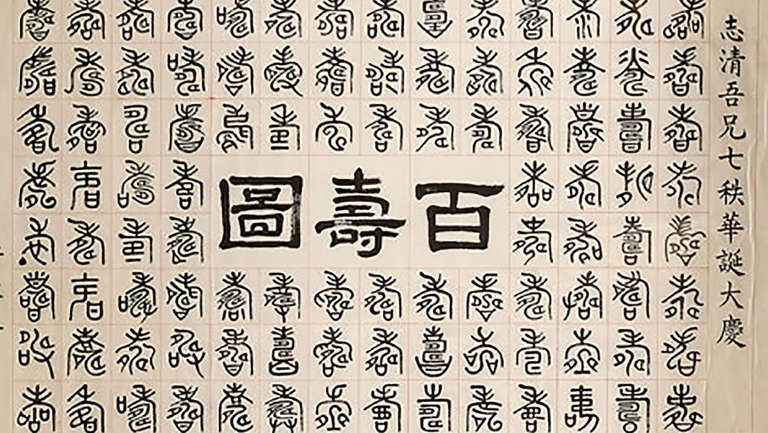 Signed and stamped.